Final part of the "5 Element Codes" article series. (C) 1995, 2005, 2009. All Rights Reserved. 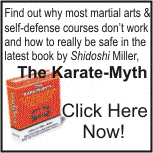 This article is the third and final part of an open response to a question that I encountered on America On-line in the Martial Arts' Ninjutsu Forum. The question (paraphrased) was: "What are the 5-elements (earth, wind, water, wood and metal) about that I have seen mentioned in books on ninjutsu?" Read part 2 of this article series here. In this installment we will examine both the Godai and Gogyo 5-elemental systems, in their combined or complimentary forms, and their use in personal development training. The approach here is not solely in the same mechanical application or psychological strategies of each system but in their use as mirror images of the same processes. The point of this article, as in the previous two, is to explain the connection between the two systems of five elements, that were originally condensed into one in the question. I will try to do this to the best of my own knowledge and understanding but, due to the content and scope of the material and its strong spiritual nature, I understand that it may not be as readily accepted as the previous articles. The Godai's 5-elements are called manifestations or appearances and are seen as a means of cataloging all the parts or individual 'items' that show up in existence. The elements of chi, sui, ka, fu and ku or the "earth", "water", "fire", "wind" and "void" go much further than merely identifying those natural phenomena which each seems to point out. The element 'earth,' for example, alludes to much more than simply the ground beneath our feet. It is a way of identifying and coming to a deeper understanding of those firm, absolute, and stable aspects of existence, regardless of whether we are operating on a natural, human, sub-atomic, conscious or subconscious, or pure energy level. The same goes for the remaining elements. This system, imported from Tibet, is often used as a way of describing the creation of the universe. First there was a single germinating cause ("Big Bang," God's word, etc. ), representing the formless potential and creative aspect at the void level. Next, atomic particles gravitated toward each other forming loosely grouped masses which were free moving, called gasses in the scientific community. As these gasses at the fu or 'wind' level continued to condense in on each other they began to react with one another, giving way to the connectedness, energy and reactiveness of the 'fire' element. Continuing to condense to the point where the particles were close enough to roll around on each other, they became the elements and 'things' in a fluid state. Finally, coming together to the point where motion can no longer be discerned (there is ALWAYS motion), the solid, firm "earth-like,' aspects of existence came to be. The ability to think and communicate, to create and conceptualize requires consciousness beyond the preprogramming at the primitive cellular level of the animal world. This requirement then becomes the underpinnings or foundation of all we experience. The sixth element, shitta (citta in the Pali language, sittam in Sanskrit), 'mind' is the combinations and flow of the gogyo on a human psychological level. As a refresher, the Gogyo are the 5 Elemental "Transformations," or fluctuating energy states. Developed and imported from China, the gogyo can also be used to catalog phenomena, but at a different level than the godai*. Where the elements of the godai describe and catalog energy "types," the elements of the gogyo describe and catalog energy "states" or stages in the continuing change through which the energy flows. The five elements of the gogyo, sui, moku, ka, do and kin or "water", "wood", "fire", "earth" and "metal" (in their 'productive' cycle) show the life (or death: water, fire, metal, wood, earth cycle) of any 'thing' as identified in the godai. This behind-the-scenes flow of the 'what-is' can be seen in the creation as opposed to the formation of an organism as discussed previously. Beginning, arbitrarily for our model, with the symbolism of the 'metal' element which depicts the planning stages or motivating factors behind the current flow, we have the initial intention or preprogrammed inclination towards procreation on the part of the parents. Next, the coming together of the egg and sperm (in the case of we humans not having attained God-hood yet) which carry all of the necessary requirements (water) for life. This then leads to the beginning of a new life (moku) at birth. The growth of the individual through the energetic years of childhood represents the energy transition of the 'fire' level leading to the adult years where the individual settles down with a companion (earth) and carries out the necessary actions for the next cycle (metal). An easier way of looking at the relationship between these two systems has been provided in the esoteric mind-science training known as Mikkyo. The graphic representations or maps known as mandala can help to show, in a pictorial form, the processes described so far. The godai manifestations are represented by the Taizokai mandala which even shows us a picture of what appear to be individual 'things' and, in some cases, groups of likes with subtle differences (i.e. tree = pine, maple, oak, palm, etc.). The gogyo is then graphically represented by the Kongokai mandala which is laid out in a systematic, almost simplified, manner. Where the taizo mandala depicts individual potentials or already manifested realities, the kongo view describes and shows the development and inter-relatedness of any one of these individual 'things' with all else. An excellent example of this, drawn from our own Western sciences, is the relationship between Anatomy and Physiology. One is the study of the individual parts and the outer is the study of how the parts work together as a whole. Without the parts, the whole could not function properly, but, conversely, breaking up the whole to examine the parts ends the life of the organism. Both systems, in and of themselves, can be seen to be like filing cabinets, with each drawer containing an element. Each drawer then contains folders with examples and aspects on various levels which describe a concept (i.e. personality, nature, energy, emotion, mental attributes, constitution, physical quality, etc.) in both a positive and negative context. Each system provides a view from which we can look at the world, AND our budo-taijutsu/ninjutsu training. The gogyo and Kongokai view show us the reality (see above) that everything is ultimately connected and the essence and direction toward the potential of each manifestation. You cannot have form without that which form is made of; and you cannot identify the universal laws and potential without the forms as examples to point the way. 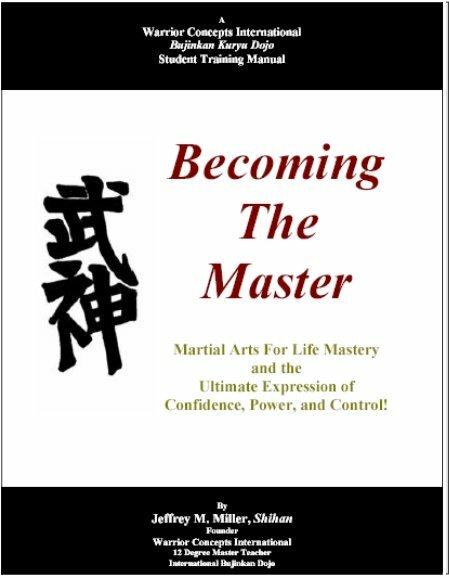 The understanding of the combination of the two systems into one is the beginning of higher levels of mastery, not only of our martial arts, but of ourselves. And the most important thing to remember is, just as with gravity, you don't have to study it or even believe in it, but it is there working all the time. *The five elemental manifestations known as the godai are an important starting point in learning the Sanshin no Kata. While most will be satisfied to learn the Japanese "names" of the elements, only those students who go on to learn the truth that the Sanshin has 3 levels - each focusing on aspects of the godai and gogyo energies as both strategies AND as focal points for our training and progress, will be able to put these lessons to their greatest use. Please Note: Everything contained in this article series is based on my own research and study. Therefore, any mistakes, misunderstandings, and/or ommissions are strictly my own responsibility.